A Lay of the Links is a poem written by Arthur Conan Doyle first published in Today on 11 november 1893. 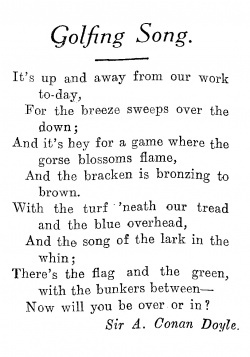 As Golfing Song in the Daily Mail (5 june 1926). From Bar or from Bench—high and low! This page was last edited on 27 May 2018, at 12:10.